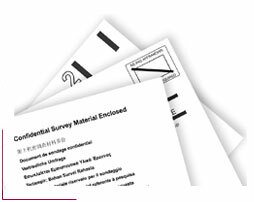 The documents can be made unique by personalising with serialisation or category coding. They can be further enhanced with the printing of name and address details, from customer data files, allowing the shipment of worldwide mailings to recipient's place of work or even their home address. 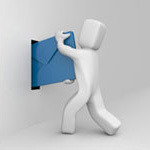 Mailings can also include corporate branded confidential envelopes and inserts together with Business Reply Envelopes. Due to our flexible methods of print, each document can be tailored to the individual's requirement. Whether it is making questions different for each recipient on a survey or individual membership details on integrated membership cards, the possibilities are endless.